Happy Easter from New Zealand Police. 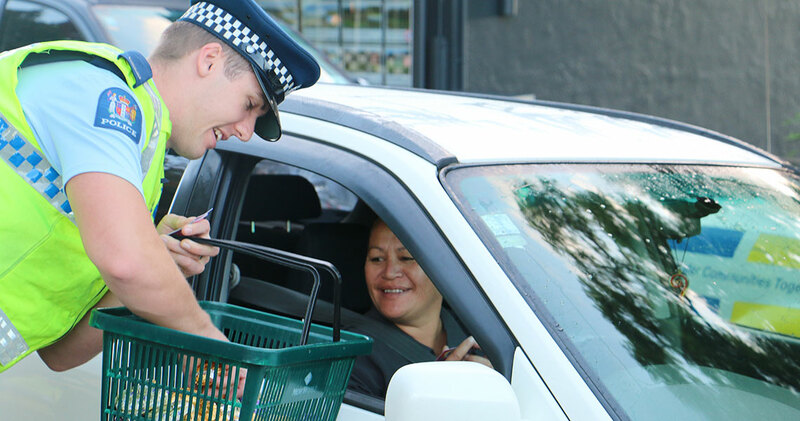 Like our Northland staff who were out with our community partners sharing the love – and Easter eggs – in Whangarei, we want New Zealanders to be safe and feel safe this long weekend. If you’re on the road this Easter, drive to the conditions and remember to always keep a safe following distance. Whatever you’re doing, have a safe and enjoyable holiday weekend! Inspector Pat Handcock retired this week after 44 years of proudly serving the community. Pat was just 17 when, in January 1974, his parents dropped him off at Auckland railway station to board an overnight train for Wellington — final destination, the Police Training School at Trentham. Pat, who grew up in Onewhero, Auckland, was a farmhand before joining Police. Young cancer patient Tawhiti-Roa Rangiwai’s name means ‘long journey’ but his road has been made brighter with a Make A Wish Foundation trip meet police dogs and handlers. Escorted by Sergeant Nick Prince, of Wellington Police Dog Section, it was smiles all round when Tawhiti-Roa, aged seven, from Tawa, his mum Anne and two of his three older sisters spent time with police recently. Work is under way to include a third gender on Police forms and information systems to cater for people who do not identify with the traditional options of M or F.
The move would bring practical benefits for Police staff and people they deal with from the rainbow communities, says Inspector Tracy Phillips, Rainbow Connections Diversity Liaison Officer in Tāmaki Makaurau. Police officers are attending tradies’ breakfasts around the country, engraving tools with their owners’ drivers licence number and giving advice to help prevent tool theft. While similar initiatives have taken place in various district over the years, the ‘Protect Your Tools’ campaign was started and grown in Waitematā by District Victim Coordinator Sergeant Aron McKeown. Police recruit Apii Nicholls-Pualau, who last year received a player of the year award with the Kiwi Ferns during the 2017 Women’s Rugby League World Cup, has added a bronze medal to her award collection. This talented Rugby League player was able to take some time out from her initial training course at the Police College to play Rugby League Nines for the Cook Islands. Apii went to Moreton Bay in Queensland with the team – the Moana 9s – in February.